Joan is a long time competitive runner who has competed in all levels of the sport. She qualified for 5 US Olympic Trials and coached herself to the 1996 US Olympic Team in Atlanta in the 10,000m. Joan has coached every level of runner from young kids to All-American and American record holders. Joan took over the Chapel Hill High School coaching reigns in 2013. 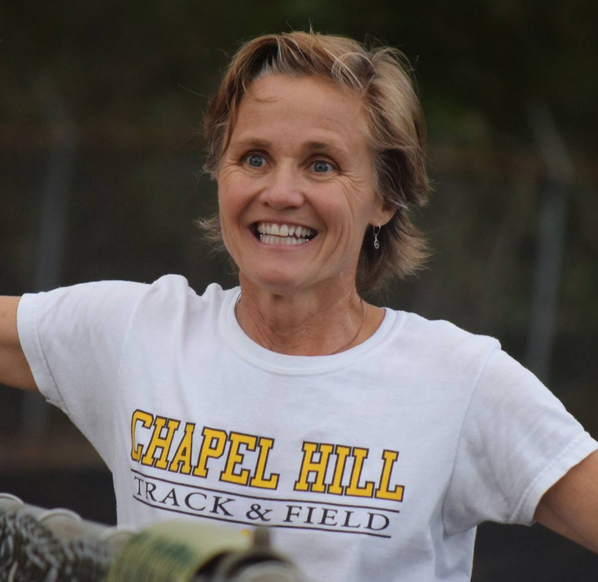 Although Coach Marsh is new to the track scene, he has been a successful and well-loved football coach at Chapel Hill High for several years. He is truly one of the gems at Chapel Hill High. Coach Young was a standout runner at Dartmouth running the 200 and 400 meters.